Warrant Coming for Officer Who Killed Man in Dallas Apt. A manslaughter warrant is expected to be issued for Amber Guyger, the Dallas police officer who police say shot and killed a man after entering an apartment unit she believed was her own Thursday night. Dallas Chief of Police U. Renee Hall announced the warrant during a news conference early Friday afternoon and added that a blood sample will be drawn from Guyger to test for drugs and/or alcohol. "Right now there are more questions than we have as answers," Hall said. Police released Guyger's identity late Saturday. She was not in custody as of 11 p.m. Saturday. Hall said Friday afternoon she wasn't sure of the officer's current location. 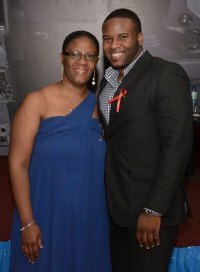 Allison Jean and her son, Botham Jean. Hall said police were notified of an officer-involved shooting at the South Side Flats just before 10 p.m. Thursday -- the apartment building is about one block away from the Dallas Police Department Headquarters south of downtown. Hall said as the investigation unfolded the details of the incident created "a very unique situation." When pressed for details, Hall declined to elaborate. Hall said given the direction of the investigation, the Dallas Police Department ceased normal protocol for investigating officer-involved shootings and, in the interest of transparency, has invited the Texas Rangers to take over the investigation. Earlier in the morning, Dallas Sgt. 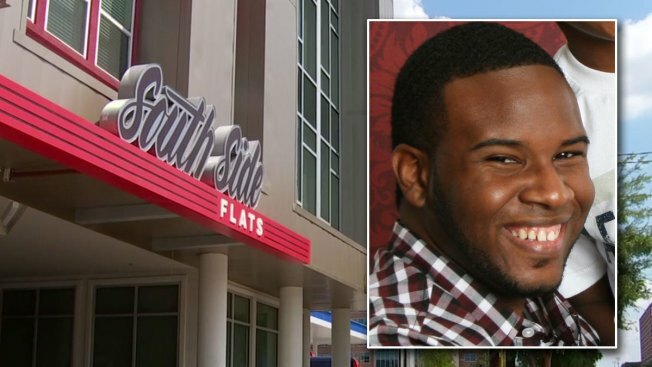 Warren Mitchell said Guyger was heading home after working a full shift when she mistakenly entered a neighbor's apartment and was confronted by a man, identified by the Dallas County Medical Examiner's Office as 26-year-old Botham Shem Jean. At some point during the interaction between Jean and Guyger, she fired her weapon, hitting him, police said. Guyger then called 911 to report an officer-involved shooting -- minutes later, Hall said, officers and EMS with Dallas Fire-Rescue arrived and began to treat the victim. Jean was transported to a hospital where he was later pronounced deceased. Hall said Friday afternoon the nature of the interaction between Guyger and Jean was unclear and the department has not issued an official statement on what took place. In an interview in New York Friday, Allison Jean, Botham's mother, questioned how someone could walk into an apartment and not know they were in someone else's home. "Somebody has to be crazy not to realize that they walked into the wrong apartment. He's a bachelor. Things are different inside," Jean said. "I don’t want to judge her. We are Christians. We forgive. But I need to look into her eyes and ask her why did she do that to my son. She took away my heart. My soul. He didn’t deserve to die. The explanation does not make sense." Resident Tomiya Melvin said the hallways in the building all look the same so it could be a simple misunderstanding, but that, of course, she never expected anything like this to happen. "It's more than a tragedy because that person is gone forever and this is going to be forever in that person's [officer's] mind and be embedded," Melvin said. Many residents told NBC 5 they chose to live at the complex because they believed it was safe. They said keyfobs are needed to access each floor but that doors do not automatically lock when closed. 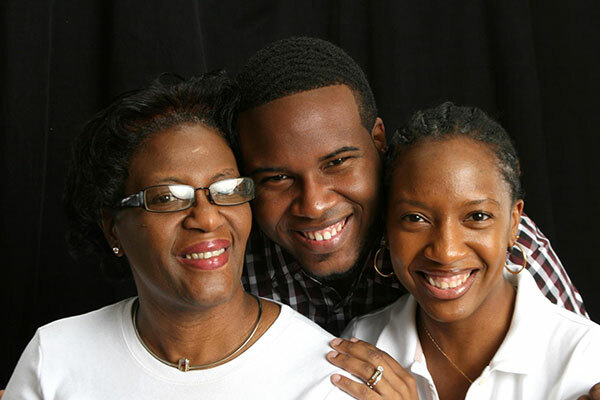 Jean's mother is from St. Lucia but was visiting New York when she learned of her son's death. She traveled to Dallas Friday night and met with Dallas Mayor Mike Rawlings on Saturday. A funeral service for Botham will be held Thursday at noon at the Greenville Avenue Church of Christ in Richardson. A viewing will be held prior to the service from 10 a.m. to noon. Editor's Note: A previous version of this story included an account of events told by a Dallas police source. Due to conflicting reports of the incident from various sources, we've removed that account from the story. NBC 5's Jack Douglas, Jack Highberger and Ken Kalthoff contributed to this report.